I love a good design challenge. So, when Oriental Trading Company told me we would be using colorful Bulk Feathers for January’s Supply of the Month challenge, I was pretty excited. I do not often use feathers, in fact this might be my first ever feather project. 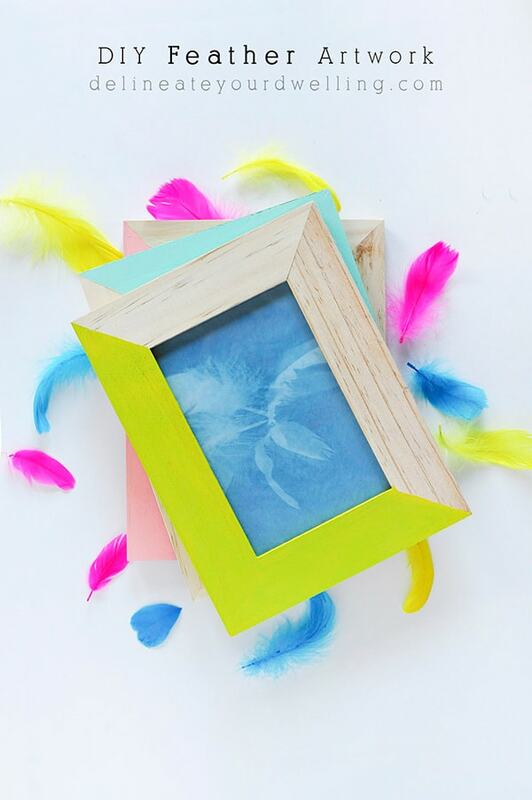 I took a different approach on this craft and I am really excited to share how my DIY Feather Artwork turned out! 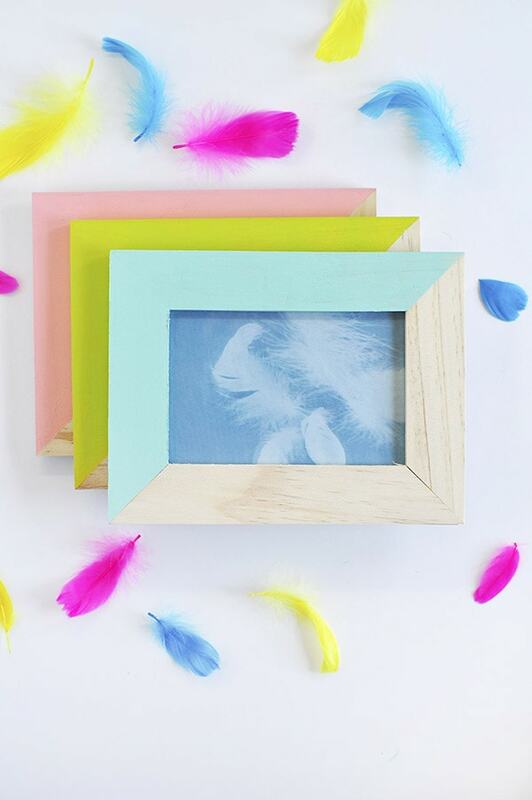 I was inspired to paint the wooden picture frames bright colors like the feathers, but true my self I went with slightly more pastel/muted colors. 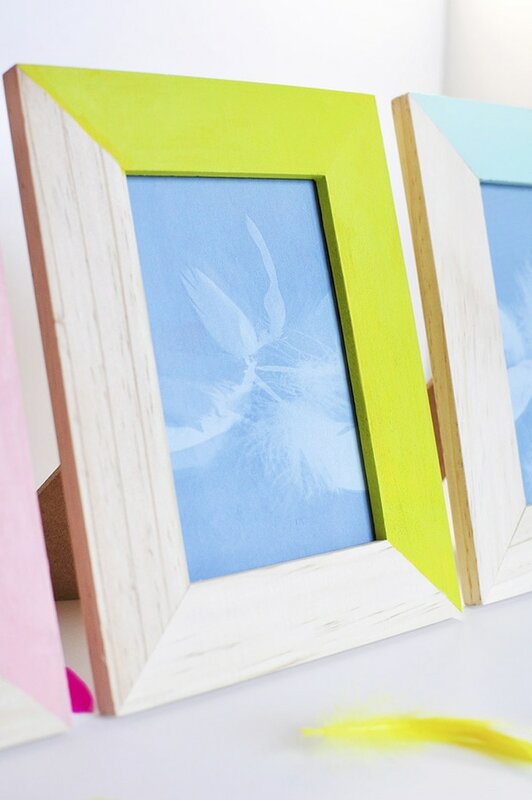 I was really happy with how the frames turned out. I love the elegant details of the feather artwork. Head to Oriental Trading to see my full supply list. 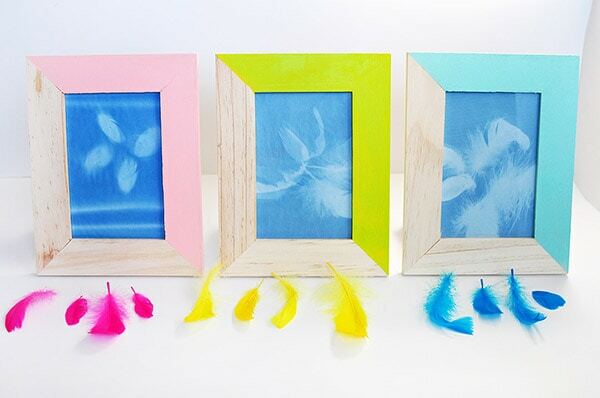 To see the full step by step process for creating the feather artwork be sure to head to Oriental Trading’s blog. 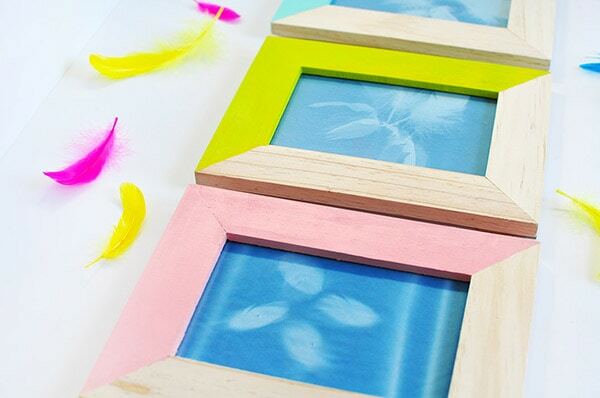 To see the full step by step process for this fun Feather Supply, head to Oriental Trading’s blog. 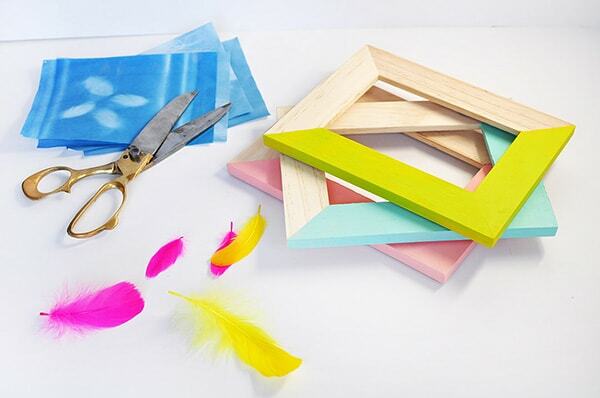 Carrie from Dream Green DIY created these Colorful Feather Dream Catchers. Haley from Design Improvised created feather balloons. 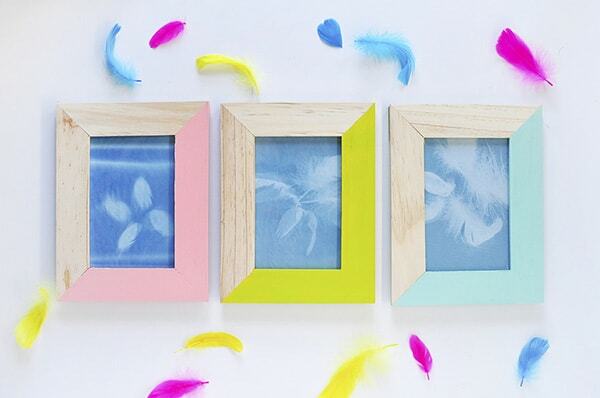 Sara + Melissa from Alice and Lois made Bright DIY Feather Arrows this month. This is lovely, very delicate and easy to make. I’ll try making one for my bedroom, thanks for the tip! I could see using big lovely feathers for a gorgeous bedroom piece of art! Good luck and I’d love to see how it turns out.